The RevoReach GripLock reacher is lightweight and robust, providing a secure and stable lift. 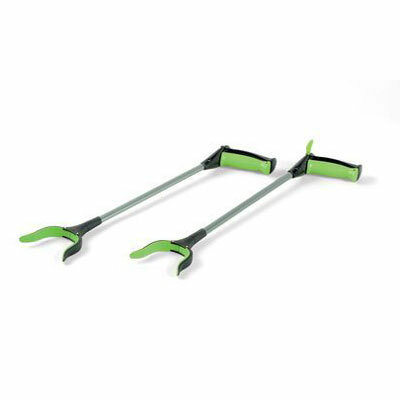 Has a 360 degree revolving jaw, which locks into place using the innovative Grip & Hold function. The Revoreach Griplock grabber is extremely lightweight and uses an innovative grip & hold function to securely pick up items. It features a 360° revolving jaw that automatically locks when the trigger is squeezed. This function allows the user to pick up items and lock the jaw so preventing undue pressure being applied to the hand and wrist when lifting the item.